Texas Roadhouse donates to many charitable causes that benefit the community. The Fairfield restaurant has chosen to bless Solano Midnight Sun with it’s cancer fighting fundraising efforts in October. 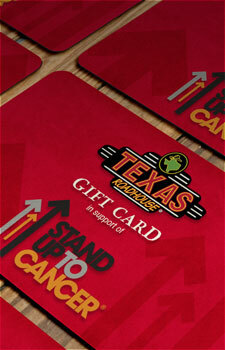 All monies donated to Breast Cancer Awareness from October 1 – October 31 will be converted to Texas Roadhouse Gift Cards. Those cards will be given to SMSF to distribute as needed to families and individuals in need of a meal, a break from routine, or just a little something extra. Thank you, Texas Roadhouse! And thank you to all who will visit and donate!